Previous sections of this guide told you about the opportunities, challenges and benefits of sourcing sustainable cotton. But what next? In this section, we’ll guide you towards taking the next steps towards integrating sustainable cotton into your supply chain. It contains information on gaining internal buy-in, setting targets, developing a strategy, talking to suppliers and starting sourcing. Getting the right people involved at the beginning of your journey is invaluable. Bringing colleagues on board early means they understand how and why targets were set, and gives them ownership over the decisions made. Step one is therefore to map your critical internal stakeholders. Be creative, ask yourself: Who needs to be aware, involved or supportive of our vision for us to deliver? You may find yourself considering colleagues in buying, technology, design teams, finance, marketing and quality control. With your internal stakeholders on board, it’s time to go outside your business. Start recruiting external stakeholders by asking which ones you’ll need to join you on your sustainability journey. Good targets will help align your organisation as it increases how much sustainable cotton it sources. This means targets that are both stretching and achievable. Here are a few shortcuts. The case studies section will show you how others approached this part of their journey. The 2025 Sustainable Cotton Challenge is a best practice example of target setting. With almost 40 companies now committed to sourcing 100% sustainable cotton by 2025, this goal is realistic and achievable for even those organisations near the start of their sustainable sourcing journey. Good targets should also resonate within the wider context of your organisation’s sustainability goals. For example, do you have goals for reducing carbon, water, and waste, and for enhancing the livelihoods of those in your value chain? 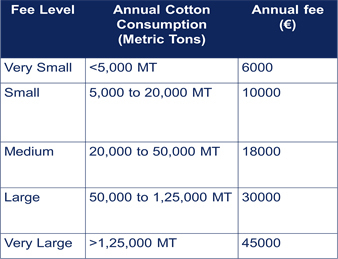 Can you demonstrate how changes to your cotton sourcing will contribute to your overall sustainability targets? In addition, many sustainability strategies connect with the Sustainable Development Goals (SDGs). Making that same connection for your cotton sourcing will help you communicate about the benefits of more sustainable cotton. As you develop your strategy, consider whether a portfolio approach to sustainable cotton sourcing is the best approach for your organisation. This allows you to benefit from the positives of each standard, and means your buyers can decide the best fit for your product range. Once you have set targets, you need to develop a strategy to meet them. 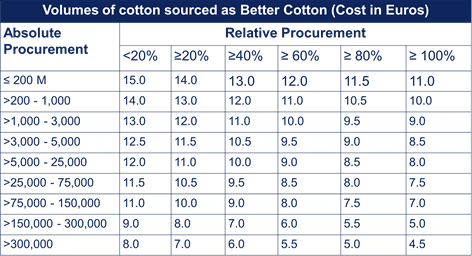 On the ‘Creating a cotton strategy’ page you will find key steps and an example sourcing policy to use as you begin your journey. Talking to suppliers and begin sourcing! With your strategy in place, it’s time for your buyers to talk to your suppliers about integrating your chosen sustainable option(s) into your value chain. To help your buyers do this, read the section covering how to work with suppliers. It provides a good basis of knowledge about the types of supplier-specific questions to ask, how and when to push back, and how your buyers can help suppliers understand the benefits of offering sustainable supply to their customers. Once your suppliers are on board, the integration of more sustainable supply into your products is the final step in implementing your strategy. We’d love to know what you think of this guide, and how we can improve it. Which information is particularly valuable? What is missing? Which resources would help you move forward more quickly? Please take our short survey and help us improve this guide. This will help to fuel the movement to increase the use of sustainable cotton across the entire fashion industry. 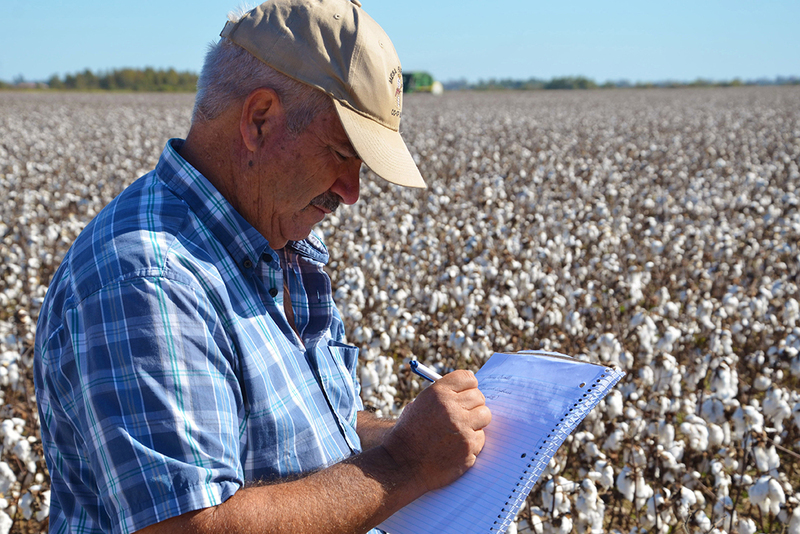 Start here if you want to learn about finding and choosing the right cotton to meet your sustainability targets.